WWO - two rappers: Jędker and Sokół plus DJ Deszczu Strugi. The abbreviation stands for ”W Witrynach Odbicia” (”Reflections in Windows”) and ”W Wyjątkowych Okolicznościach” (”In Special Circumstances”). The group originates from the most numerous Warsaw hip-hop group - ZIP Skład made up of three bands: WWO, Zipera and Fundacja. In 1996-99 ZIP Skład and its various projects (like WWO) recorded several tracks, some of them unpublished, some appeared on various complation albums; guest verses featured on albums of such artists as: Molesta, Wzgórza Ya-Pa 3, DJ 600 Volt. In 1997 Sokół and Pono performed first time on stage, as a RUN DMC support in front of 3,500 fans. Then their debut albums followed: in 1999 - "Chleb powszedni” by ZIP Skład and in 2000 - "Masz i pomyśl" by WWO. WWO’s album proved to be a great success - sold well and became a hip hop classic; the single "Jeszcze będzie czas" was a hit on radio charts and TV channels: MTV and Viva Polska - Jędker and Sokół received a flood of proposals for cooperation. In 2001 ”W Witrynach Odbicia” ceased to exist due to the conflict with their then publisher - they terminated the contract and were reborn as ”W Wyjątkowych Okolicznościach”, the change resulted from legal issues. New WWO with DJ Deszczu Strugi released their second album "We własnej osobie" produced by the best Polish producers: Waco, White House and Noon, together with French producer duo - Reego and Doltz. The album featured many guest performances including: Soundkail (France), ZIP Skład, Hemp Gru, Mor W.A, and Peja. With this album, WWO established their position and proved to be one of the best artists in Poland. They played over 150 concerts promoting this album and some tracks became indisputable smash hits. 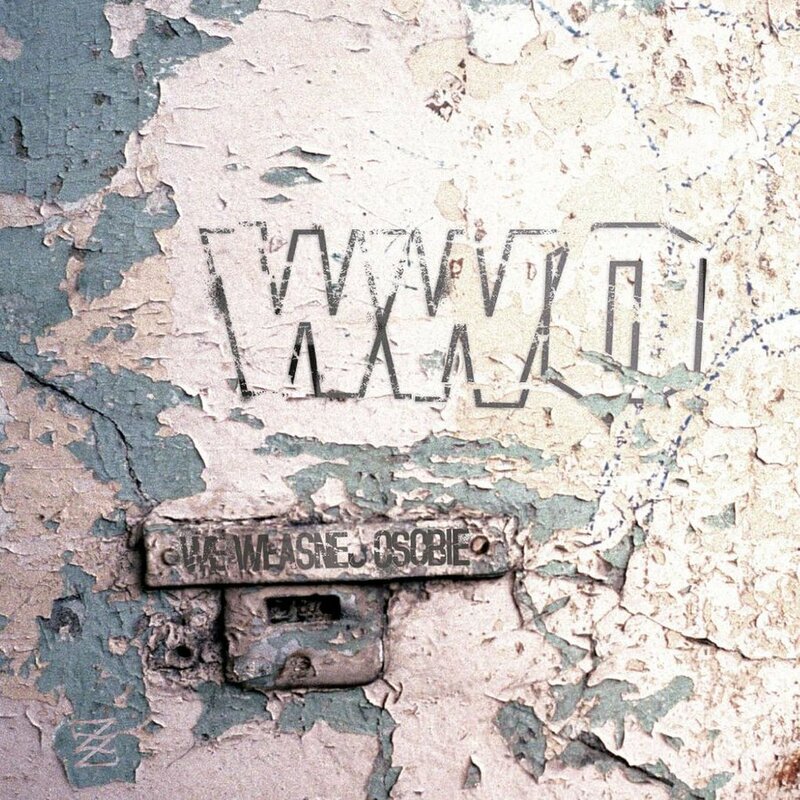 In 2002-2004 WWO’s tracks: "Damy radę", "Nie bój się zmiany na lepsze", "W Wyjątkowych Okolicznościach", "Sen", or "Każdy ponad każdym" - featured on White House Kodex 2 album and "U Ciebie w mieście" - coming from joint EP by WWO and Vienio & Pele, occupied top chart positions for months, were on TV high-rotation and music videos for these tracks were awarded numerous prizes. In 2005 WWO recorded a track with legendary Michał Urbaniak on his project "Urbanator 3". Sokół, Jędker and Deszczu (jointly or separately) boast great collaborations with not only the best Polish performers and producers but also international artists. In 2005 Polish hip-hop world witnessed their double impact as they released two albums all at once - one under the name ”W Wyjątkowych Okolicznościach” and the other under ”W Witrynach Odbicia” after having recovered their rights to this name: WWO "Życie na kredycie" (Jędker’s concept) and WWO "Witam was w rzeczywistości" (Sokół’s concept). Both albums were produced by international and Polish producers: The Horsemen from USA, Beathoavenz and Shuko from Germany, DJ Wich from the Czech Republic, Zoober Slimm from Switzerland, White House, Emade, Kuba O., Korzeń, L.A.B.Z., Żusto, Uraz and others; featuring guest vocals from Intouchable, Toma and Soundkail from France, Kontrafakt from Slovakia, Orion from the Czech Republic, Black E-Starr from USA, from whole ZIP Skład, Firma, Hemp Gru, Proceder, Małolat, Juras, Mercedresu and others. Although the albums are separate, they are somehow connected: mainly by DJ Deszczu Strugi, but also thanks to Sokół and Pono who swap places on their albums and, finally, due to cover project which makes two albums one whole. Albums sold very well, the group extensively performed in Poland and abroad and the singles ”Mogę wszystko”, ”Minorum gentium” and "I tak to osiągnę" occupied chart top positions and were on high-rotation on TV for months. In June 2006 Molesta, WWO and OSTR released a minialbum "Rbk hip hop tour 2006" promoting their joint tour. Facts about WWO: 6 singles reached and kept #1 chart position up to 5 months. They performed the biggest number of concerts in Poland between 2000-2004. They also played great deal of concerts abroad: in England, the Czech Republic, Slovakia, Lithuania, Germany, USA. Four awards in 2002 by Ślizg Magazine (Ślizgery): the best album, the best video, the best artist, the best DJ. Awarded by Hip-hop.pl magazine for the best album in 2002. Nominated to Fryderyki award as the best hip-hop group in 2002. Awarded in Yach Film Festiwal and in Offensiva festival (Brązowy Off) for the ”Sen” video. Nominated to Asy EMPIKu award with ”Witam was w rzeczywistości” as the bestselling hip-hop in 2005. Performer of the 2005 year by WooDoo and Hip-hop.pl. Srebrna Iglica award for the clip titled "Każdy ponad każdym" during Offensiva festival.